“À table!” hollered Mark Haisma in French yesterday morning at 11.49, prompting his sorting team to move from the makeshift table they had been using back to the more conventional mechanical one, now repaired having ground to a halt earlier. With the noise from the ghetto blaster at conversation-drowning volume it’s a wonder anybody heard him. That, together with the Coopers Original Pale Ale in the fridge, might leave you thinking you had stepped into an Australian winery, and not one on the outskirts of Gevrey-Chambertin. Don’t be fooled. 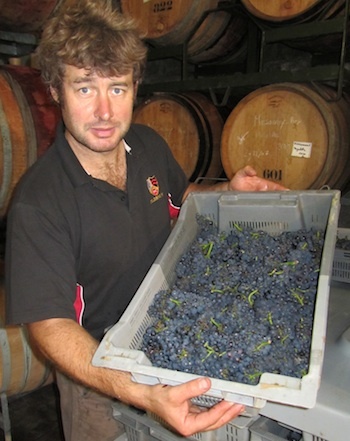 Haisma knows his stuff and his wines are far removed from the brash palate-thumpers you might expect. Jacques, Aubert & Jeremy Seysses. 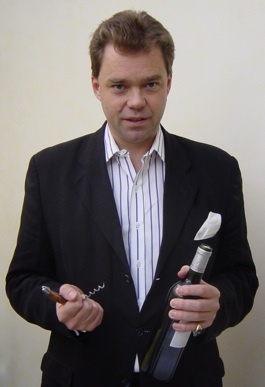 The message about 2011 is the same down the road at Domaine Dujac in Morey-St-Denis, where the new ‘boss’, three-year-old Aubert, son of Jeremy and Diana, maintains order with a toy wooden dagger. 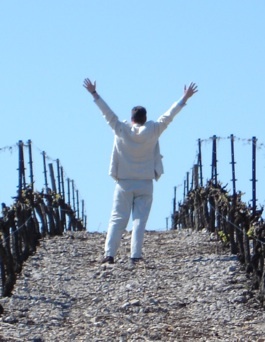 Patriarch of the domaine, Jacques Seysses, explains that the great surprise this year is the lack of rot in the grapes, pointing to another 250kg load of fruit just arrived from Bonnes-Mares, by way of example. At Dujac there is no sorting table to be seen. It was sold 15 years ago and the pickers are trained to sort in the vineyard, removing any bad grapes so that the healthy ones do not spend any time at all in contact with them. 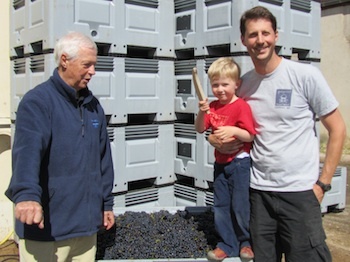 The grapes looked to be in excellent condition – and they tasted damn good too.